On the quest for knowledge at the Petrosains Discovery Center at KLCC Kuala Lumpur, you will be fully occupied with endless hours of discovery. The center is not just the place that offers great learning package but is also the venue for endless family fun. At Petrosains, all are welcomed. Learn about the nation’s rich resources and appreciate the pioneering spirit of the nation’s people. The Petrosains sets out to tell the story of petroleum in an amusing way, in which children can fully understand. To most, the petroleum industry has nothing interesting to offer. However, visit the center to see for yourself, the amazing way the center has made petroleum science come to life! It is the perfect destination for anyone who wants to uncover the secrets and the Science behind the petroleum industry. 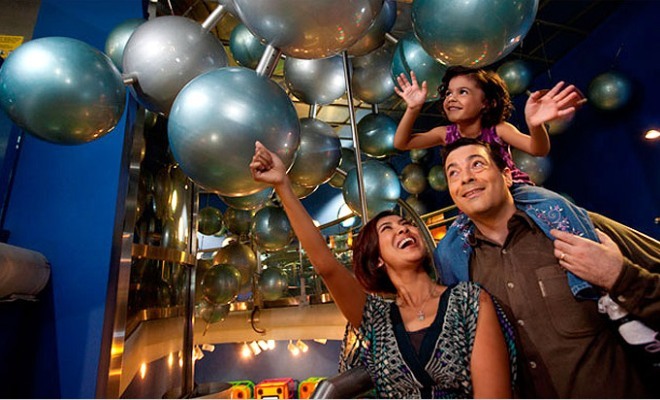 At the science center, you also have the opportunity to learn hands on about the solar system. The attractive displays make the center a modern museum that tells the greatness of the solar system and how we interact with it. Also, children of all ages can be captivated by the very lively dinosaurs as they delve in to uncover the lost world of the extinct dinosaurs. At the Petrosains, they believe that good things always come back better. So, do look out for the Petrosains Dino Trek 2, which exhibits at the Petrosains and let it teach you everything you need to know about dinosaurs. Housing about 150 exhibits which comprises all parts of science, this modern museum was designed to allow visitors to interact with the exhibits on display. The most popular attraction at this modern museum is the Dark Rides that you get on to enter the science center. There is nothing better than being greeted by a singing dinosaur on your way in. Delve into the molecule ‘Nanoworld’ where you can study all things small and see how the finest and most minute things in our world play a very important role in our lives. You will also have the opportunity to look at authentic replicas of prehistoric plants and animals at the center. If you are in Kuala Lumpur for holiday or day trip, do make time to visit the center which is located in the KLCC twin towers. If you wish to make reservations before getting there in order to beat the long queues, feel free to call 603-2331 8181. The Petrosains Discovery Center is opened from Tuesday to Friday from 09.30 am to 05.30 pm and closes one hour later on Saturdays and Sundays to cater to the bigger weekend crowd.